When you make your home at Springs at Apple Valley, we make it easy to elevate your lifestyle. With luxurious in-home and community amenities right at your fingertips, you can create the life of your dreams right here in the Twin Cities. Imagine a casual Saturday afternoon with friends. After a shopping trip to the Twin Cities Premium Outlets, you return home to our gated community. You park your car in your own attached or detached garage and unlock the door to your home through your private ground-level entry. You put your new wardrobe items away in your spacious walk-in closet then grab your beach bag for a sun-soaked afternoon at the resort-inspired outdoor swimming pool. If you need an afternoon pick-me-up, be sure to stop by the clubhouse for a free coffee from the coffee bar. 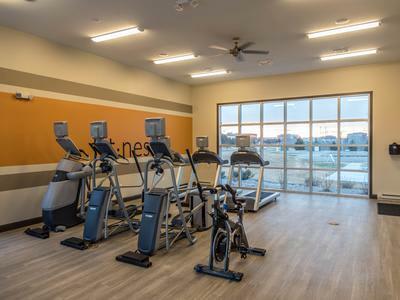 To inquire about our luxury amenities or to schedule your tour of our apartments for rent in Apple Valley, MN contact the expert team at Springs at Apple Valley today.